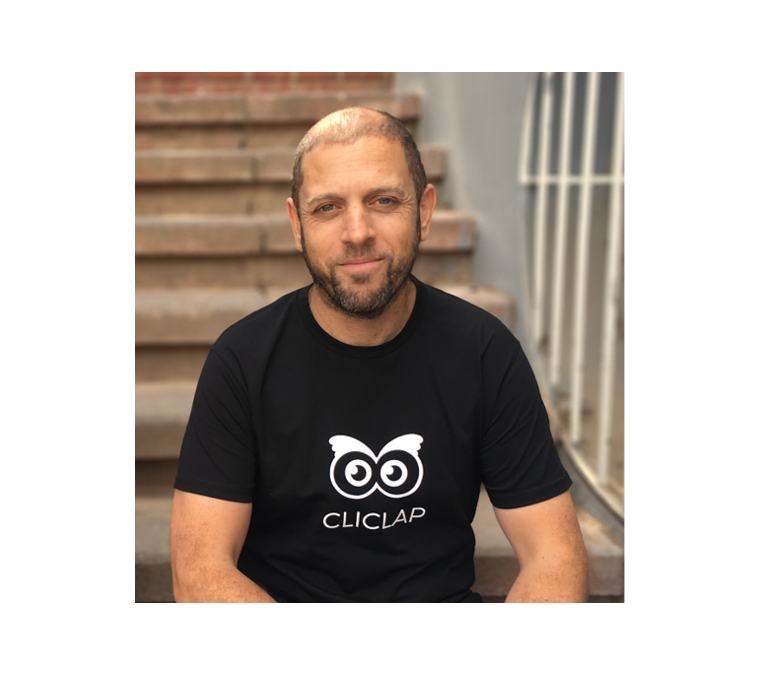 Yonatan Snir is the founder of CliClap, an autonomous lead qualification and conversion solution for B2B marketers. He has over 17 years of experience in helping organizations utilize technologies to improve business performance and is an expert in data-driven marketing. Read below about how he handles the pressure points of the fast-moving and ever-developing SaaS industry. Tell us about your role and how you got here? What pushed you to work in the sales industry? For the last 2.5 years, I have been the co-founder and CEO of a Startup. The journey I went through beforehand was very diverse. To make a long story short, I started my career in IT departments helping companies implement technologies to improve business performance. After 10 years, I decided it was time for a bigger change and I moved from IT to marketing. Back then, marketing wasn’t very measurable and marketing automation was in its infancy. I was brought in to build the marketing operations department from scratch. After a few years in which I was exposed to the challenges and technologies in the marketing domain, I came up with an idea for my own startup and that’s how CliClap was born. How do companies benefit from CliClap? B2B companies invest a large chunk of their marketing budget on inbound marketing. But when looking at the numbers, they can clearly see a large gap between the number of visitors that land on their website vs. those that actually engage and convert to leads. We provide a solution that uses AI to predict and apply the next best action for each visitor, helping our customers qualify and convert more leads from their inbound channels autonomously. How is CliClap different from other lead conversion and qualification players in the industry? Once you implement them you find out very quickly that they require high (manual) maintenance which you usually don’t have. They are based on workflows, manual triggers, A/B testing and eventually highly dependent on user guesstimation to optimize their performance. The solution we provide was built ground up to be the (missing) brain of your website. Our engine is constantly learning when and how to engage with each of your website visitors to drive them through the shortest journey until they are ready to convert. The initial setup takes a few hours until you are up and running. The ongoing maintenance is no more than two hours a week. The solution is 95% autonomous, taking care of the optimization for you. The machine constantly optimizes engagement AND conversion. What are some of the pain/pressure points you encounter on a daily/ monthly basis? It’s this kind of question that makes me stressed . The main pain/pressure of any startup is dealing with the lack of resources/budget vs. the need to move and deliver quickly. The team is always smaller than you need and the budget is never sufficient enough to achieve your goals. Therefore the biggest challenge I deal with on a daily basis is to ensure that my team and I are razor sharp on what we need to achieve, minimize mistakes and keep being optimistic at all times. How do you try and overcome these pain points? Luckily, I am not alone and I have a partner (our CTO) who is very goal-driven and the team has learned to be highly efficient. In addition, we have built internal processes and implemented tools to help us stay on top of things. For e.g. weekly meetings where we set the goals for the following week, using monday.com to manage our tasks, Jira for R&D and a CRM to manage our pipeline. How do you prepare for a sales meeting? The key is to learn as much as we can about the customer prior to the meeting. We go to their website, social channels, and LinkedIn profiles in order to learn about the person and the company we are meeting with. Then we can easily personalize the meeting to that customer, making a better use of their time, to deliver a demo/pitch that provides the info they need to help them make the decision if they wish to move forward. Google Drive, Analytics, Datastudio are my favorites and most used. Using Google Datastudio as our internal dashboard. Companies invest in expensive and complex BI tools to build their dashboards and keep track of their KPIs. While it’s starting to become more popular, not everyone is aware that Datastudio is out of beta, has powerful connectors to many tools/DBs and is completely free. I read a lot of content on a daily basis. I usually consume it through social and from time to time an email can grab my eye (but much less likely). I also use a great content curation tool called zest.is. It’s a browser plugin that provides a high-quality feed of community curated content on marketing topics. That’s a tough one as there are so many. But ironically the best one is probably – no matter who you get advice from and how experienced they are, always remember that no one knows your business better than you. Prior to CliClap, Yonatan owned a marketing agency, focused on helping brands transform their marketing operations into a data-driven organization. He is married with four daughters and has been an amateur photographer since he was 13 years old. To learn how Exceed.ai assists SDRs in engaging, nurturing and qualifying leads, click here.